Our newest book is in the works! This book is for any business executive that is interested in learning more about how to maximize IT and drive real business results. 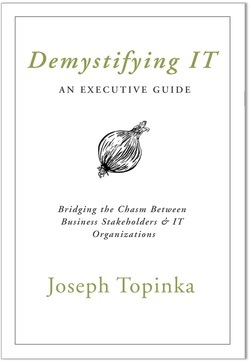 The book contains over 25 practical tools and methods to help you manage IT and connect your company's strategy to the right business technology investments. We will provide updates and a sneak peak or two so please check back every so often for the latest updates. IT Business Partnerships: A Field Guide.